The development of a representative network of marine protected areas (MPAs) in the Southern Ocean has been a priority of the Belgian government ever since 2005, when the Belgian Federal Ministry of Environment decided to place greater emphasis on environmental considerations, sustainable fishing practices, and the conservation of marine biodiversity in the region. As one of the signatories to the Convention on the Conservation of Antarctic Marine Living Resources (CCAMLR), yet having no fishing activities of its own in the Southern Ocean, Belgium's interests within CCAMLR have been part of a purely scientific and environmental policy approach. With input from recognised marine biologists and from SCAR MarBIN - the information network on Antarctic marine biodiversity, a Belgian initiative supported by the Belgian Science Policy, the Census of Marine Life (COML) and the Scientific Committee on Antarctic Research (SCAR) - Belgium has therefore been able to also contribute to the bioregionalisation workshop. Belgium has also taken concrete steps to help move the MPA agenda forward on a political level, including its collaboration with the IUCN global marine programme in drafting papers on the marine protected areas (which were submitted to the CCAMLR Scientific Committee and Commission) as well as the creation of a special 20,000 fund to facilitate the process of identification of MPAs. Alexandre de Lichtervelde, Belgium's CCAMLR representative and National Contact Point at the Committee for Environmental Protection (CEP) under the Antarctic Treaty, has represented Belgium's Federal Ministry of Environment throughout most of the process. Deeply committed to the conservation of the Antarctic marine environment, de Lichtervelde often stresses the interconnectivity between the Antarctic marine ecosystem and the rest of the world. "It's important to understand that what happens to the ecosystems of the Southern Ocean will have an impact on those of us living in the Northern Hemisphere," he said recently. While he participated in a workshop on Marine Protected Areas held in Silver Spring, Maryland, USA in 2005, Mr. de Lichtervelde also played a major role in Belgium's hosting of CCAMLR's recent bioregionalisation workshop, which was held in Brussels between August 13-17, 2007. With 35 experts from 12 different countries in attendance, the Brussels workshop has been a key step on the road to the creation of a representative network of MPAs in the Southern Ocean. to make recommendations to the CCAMLR Scientific Committee prior to its 26th annual meeting in October 2007 in Hobart, Australia. "Whereas the workshop held in Silver Spring, Maryland was merely consultative, the Brussels workshop was a major scientific step towards the beginning of a political process," said de Lichtervelde. The Brussels CCAMLR workshop was a major step forward in the scientific process of establishing MPAs. It built on the foundations laid by a previous bioregionalisation workshop held in September 2006 in Hobart, Australia. The experts who participated in the Hobart workshop set up a proof of concept for bioregionalisation, and a general framework for the bioregionalisaiton process was agreed upon for the pelagic zone (top layer of the ocean). At the Brussels workshop, the participants were able to go into much greater detail. New data was examined which helped confirm the initial bioregion delineation scheme that had been proposed in Hobart. The participants at the Brussels workshop also began to set up a scheme to examine the benthic zones (at the bottom of the ocean) as well. It was also decided that since the interconnectivity between the pelagic and benthic regions of the ocean aren't very well understood, it was decided to have two separate bioregionalisaiton schemes for the pelagic and benthic zones. The workshop also took note of SCAR MarBIN network, recognising its "great present and potential value to bioregionalisaiton," allowing those who use it "to search, display and extract taxonomy and distribution information for many Southern Ocean species," according to Dr. Claude de Broyer, marine biologist from the Belgian Royal Institute of Natural Sciences and scientific representative for Belgium at the workshop. The official report from the bioregionalisation workshop will be released at the 26th annual CCAMLR meeting, which takes place from October 22nd until November 2nd, 2007 in Hobart on the island of Tasmania in Australia. The meeting will focus on discussing the conclusions reached at the bioregionalisation workshop and work will continue on devising a representative network of marine protected areas reflecting the broad spectrum of the various ecosystems that exist in the Southern Ocean. Once this network is created, it will be necessary to find an effective way to manage it. "The Southern Ocean provides a service to the rest of the planet, and we must be conscious of the way in which we harvest the resources it provides," said de Lichtervelde. On basis of the data already available and if the methods of bioregionalisation discussed at the Brussels workshop are accepted, CCAMLR representatives could propose holding another bioregionalisation workshop. With the bulk of the research already done, such a meeting would be geared more towards the political side of the agenda, and participants would discuss the methods for designating marine protection areas. 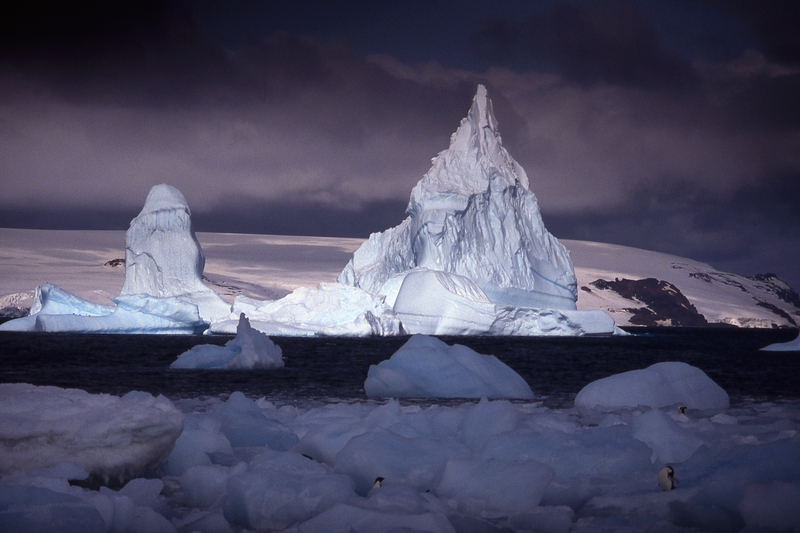 Although Antarctica is outside the framework of the United Nations, CCAMLR work on MPAs would contribute to the international objective of establishing a representative network of MPAs by 2012. The Southern Ocean provides a service to the rest of the planet.